Time management due to endless compliances? All you need to do is “Focus on your Business” and we will take care of everything else. No matter if you are a registered or an unregistered user, HostBooks e-way bill software will meet all your needs. 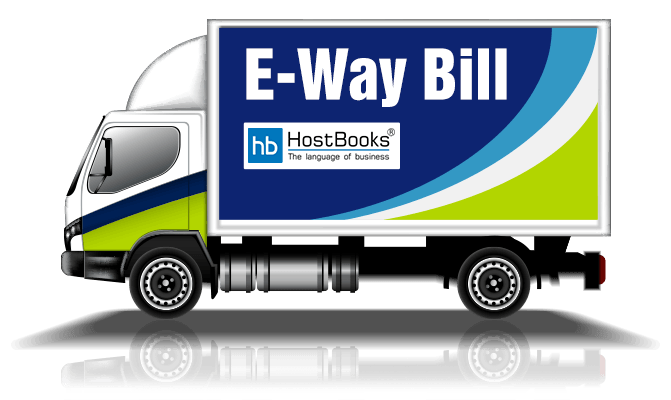 Why choose HostBooks e-way bill software? With HostBooks automated e-way bill software you can generate e-way bills with great ease without any hassle or disruption. Generate consolidated e-way bills effortlessly while carrying multiple consignments of various consignors or consignees in a single conveyance. The transporter/business can easily update the vehicle number for all the issued invoices in case there is change of vehicle. Add multiple users as business requirements keep changing that demands a change in the number of users as well. Our team of Chartered Accountants (CAs) is just a call away in case you come across any issue in e-way bills. The e-way bill data that you enter is thoroughly scrutinized and gets validated right away that eliminates the possibility of errors. If you want to import data from other sources that are in use currently, you can easily import the data in bulk. A person in the Head Office can easily monitor the processes being carried out in the branches situated at different locations. HostBooks e-way bill software facilitates the regeneration of the already generated e-way bills in case of one makes any amendment. Working on GST e-way bill is really simple with a user-friendly dashboard that will make you enjoy every bit of your job. You can easily access your account anytime irrespective of your location as our software is completely cloud-based & ensures 99.99999 SLA uptime. TLS 1.2 Transport Security with AES 256 bit encryption (Https at SSL Level) keeps your data safe & secure like a bank’s website. Important information you can’t miss out on! 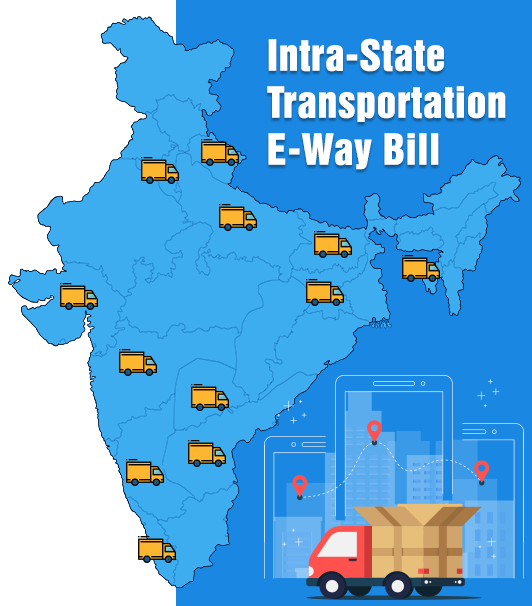 The inter-state e-way bill for all the states came into force on April 1, 2018. Karnataka is already working on the e-way bill system for intra-state trade since April 1, 2018. The e-way bill for intra-state has been rolled out on April 15, 2018 in Andhra Pradesh, Gujarat, Kerala, Telengana & Uttar Pradesh. In these 6 states i.e. Bihar, Jharkhand, Haryana, Madhya Pradesh, Tripura & Uttarakhand the e-way has been implemented from April 20, 2018. The penalty to be paid on the failure to generate e-way bill is 10,000 INR. 1What is an e-way bill? E-way bill is a document required to be generated by a person in charge of the conveyance carrying any consignment of goods of value exceeding 50,000 INR as mandated by the Government. It is generated from the GST Common Portal for e-way bill system by the registered persons or transporters who undertake movement of goods before the commencement of any such movement. 2Why is the e-way bill required? The person in charge of a conveyance carrying any consignment of goods of value exceeding 50,000 INR is required to generate an e-way bill. 3Who can generate the e-way bill? The consignor or consignee, as a registered person or a transporter of the goods can generate the e-way bill. The unregistered transporter can enroll on the common portal and generate the e-way bill for movement of goods for his clients. A person can also enroll and generate the e-way bill for movement of goods for his/her own use. 4Is there any validity period for the e-way bill? Yes. 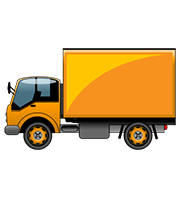 The validity of the e-way bill depends upon the distance up to which the goods have to be transported. In case of regular vehicle or transportation modes, for every 100 KMs or part of its movement, one-day validity has been provided. And, in case of Over Dimensional Cargo vehicles, for every 20 KMs or part of its movement, one-day validity is provided. And, this validity expires on the midnight of last day. 5Can the validity of e-way bill be extended? Yes, the validity of an e-way bill can be extended before 4 hours of the expiry of the validity or after 4 hours of the expiry of the validity. 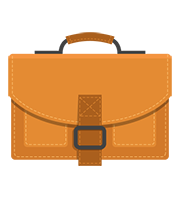 6What are the documents that need to be carried along with the goods being transported? The person in charge of a conveyance shall carry the invoice or bill of supply or delivery challan, bill of entry as the case may be and a copy of the e-way bill number generated from the common portal. 7Can the e-way bill be modified or edited? The e-way bill once generated cannot be edited or modified. Only Part-B can be updated. However, if e-way bill is generated with wrong information, it can be cancelled and generated afresh. The cancellation is required to be done within twenty-four hours from the time of generation.